Buzz Aldrin, an accomplished pilot and academic best known as the second human being ever to set foot on another celestial body, is popular in a number of circles. His participation in the history making Apollo 11 mission earned him a place in America’s heart, and his appearances in movies like “Transformers” and on TV shows like “30 Rock” have helped keep his name fresh in the minds of those of us who can’t help but look up at the moon on clear evenings and revel in the idea that Americans like us once walked around on that thing. In 2005, however, Aldrin became the most popular guy in a slightly different demographic, when he admitted on a Science Channel documentary called “First on the Moon: The Untold Story” that he and Neil Armstrong had seen a UFO during their historic trip. While Aldrin wasn’t the only astronaut to claim to have seen something unusual through the windows of an American space ship, he was certainly the highest profile. To many, having a name like Buzz Aldrin, not only the second man to walk on the moon, but an MIT educated PhD recipient in Astronautics, gave the concept of aliens visiting earth a level of credibility it had never had before. Although the scientific consensus today is that alien life is extremely likely in the great expanses of the universe, it wasn’t that long ago that even mentioning such a thing was enough to get you laughed out of a serious scientific conversation. Of course, acknowledging that alien life likely exists somewhere isn’t the same as claiming it’s already visiting earth – as Aldrin seemed to claim in the 2005 segment. In the years since, Aldrin has repeatedly gone on record to claim that his statements about what he saw during his Apollo 11 flight were taken out of context, and that, while what he saw was technically unidentifiable, it was certainly not alien in origin. Finally, while participating in an “AMA” (short for Ask Me Anything) on the popular website Reddit, Aldrin took the opportunity to clear the air regarding his stance on extraterrestrial life, and what he and fellow astronaut Neil Armstrong actually saw through the port holes of their capsule… much to the disappointment of UFO enthusiasts everywhere. 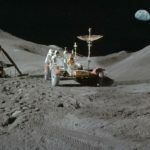 As far as Aldrin is concerned, there was no mystery at all, but – he clarified – just because aliens didn’t visit Earth in 1969, doesn’t mean there aren’t any aliens out there, in the distant reaches of space. We well understood exactly what that was. And when we returned, we debriefed and explained exactly what we had observed. And I felt that this had been distributed to the outside world, the outside audience, and apparently it wasn’t, and so many years later, I had the time in an interview to disclose these observations, on another country’s television network. And the UFO people in the United States were very very angry with me, that i had not given them the information. It was not an alien. Extraordinary observations require extraordinary evidence. That’s what Carl Sagan said. There may be aliens in our Milky Way galaxy, and there are billions of other galaxies. The probability is almost CERTAIN that there is life somewhere in space. It was not that remarkable, that special, that unusual, that life here on earth evolved gradually, slowly, to where we are today. Of course, die hard conspiracy theorists have already begun littering the internet with stories about how the Reptillian Illuminati must have gotten to the famed astronaut and forced him to change his story – but their claims can pretty safely be thought of as the internet equivalent of homeless people shouting into a drain pipe. Aldrin himself attests that the crew of Apollo 11 did not see a flying saucer following them through space, and as far as this writer is concerned, unless one of those conspiracy theorists turns out to be Neil Armstrong (may he rest in peace) or Michael Collins, this is one space mystery we can comfortably say has been solved.